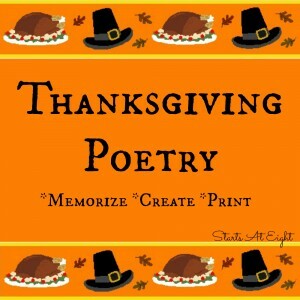 Giving Thanks: A Native American Good Morning Message is a story based on the “Thanksgiving Address”, a Native American message of peace and thankfulness for all the blessings of the earth. For as long as anyone can remember, Mohawk parents have taught their children to start each day by giving thanks to Mother Earth. Also known as the Thanksgiving Address, this good morning message is based on the belief that the natural world is a precious and rare gift. The whole universe — from the highest stars to the tiniest blade of grass — is addressed as one great family. 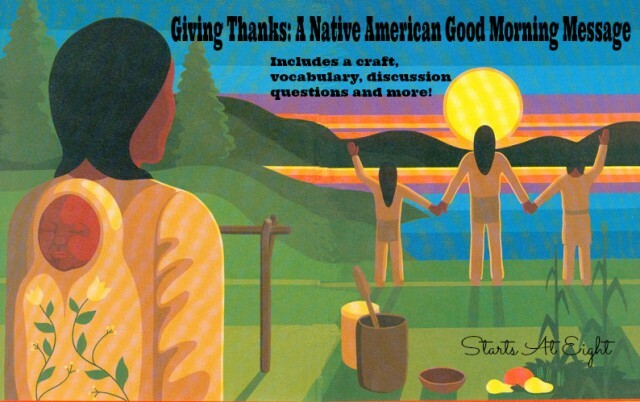 In this book, Giving Thanks: A Native American Good Morning Message this message is adapted especially for children by Chief Jake Swamp. 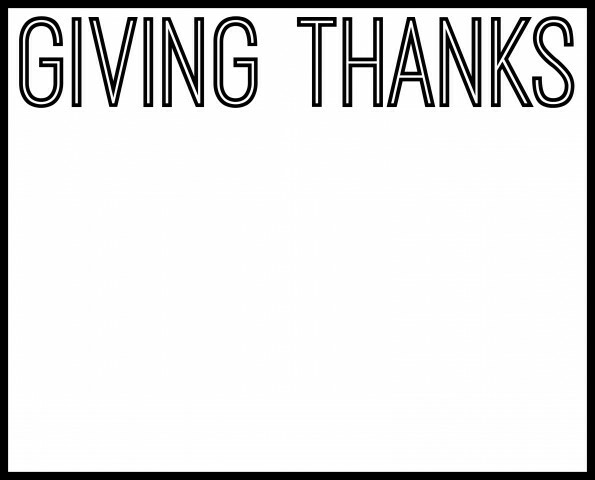 Watch and listen to Giving Thanks This animated video is narrated by Chief Jake Swamp himself, in both English and in the Mowhawk Language. Chief Jake Swamp was a founder of the Tree of Peace Society, an international organization promoting peace and conservation. Chief Swamp delivered the Thanksgiving Address throughout the world, as well as at the United Nations. He was born on the Akwesasne Mohawk Reservation in upstate New York, and lived in Hogansburg, NY where he worked as a cultural adviser for the Mohawk Council of Akwesasne’s Child and Family Services. He passed away in October 2010. Here is a list of vocabulary words from the story. Have your students look up the definitions and discuss with them the meanings in the context of this story. 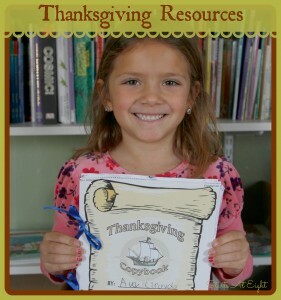 Have your child create a list of things they are thankful for. This list can include things like food, house, parents, as well as things like sun, rain, happiness, fun, toys, etc. 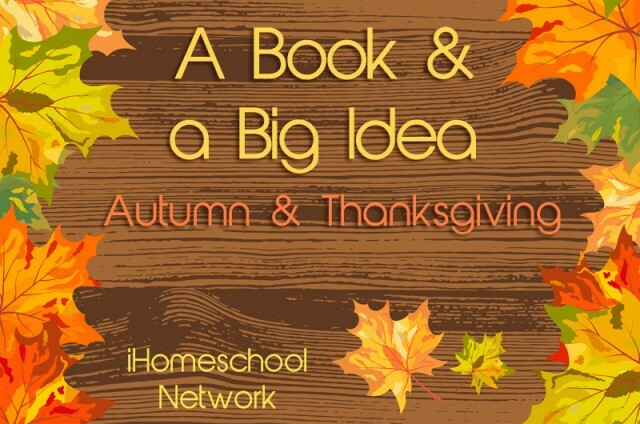 Using magazines, newspaper fliers, or printings from the computer, have your child cut out images that depict the things on their thankful list. You can use a laminator , sheet protectors , or clear contact paper to preserve their place-mat for use. 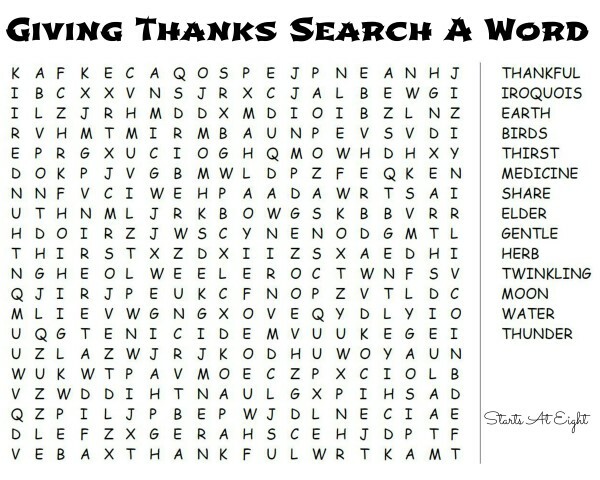 Use this FREE PRINTABLE Giving Thanks Search A Word to reinforce vocabulary. Simply right click on the image and “save as”. What is this story based on? 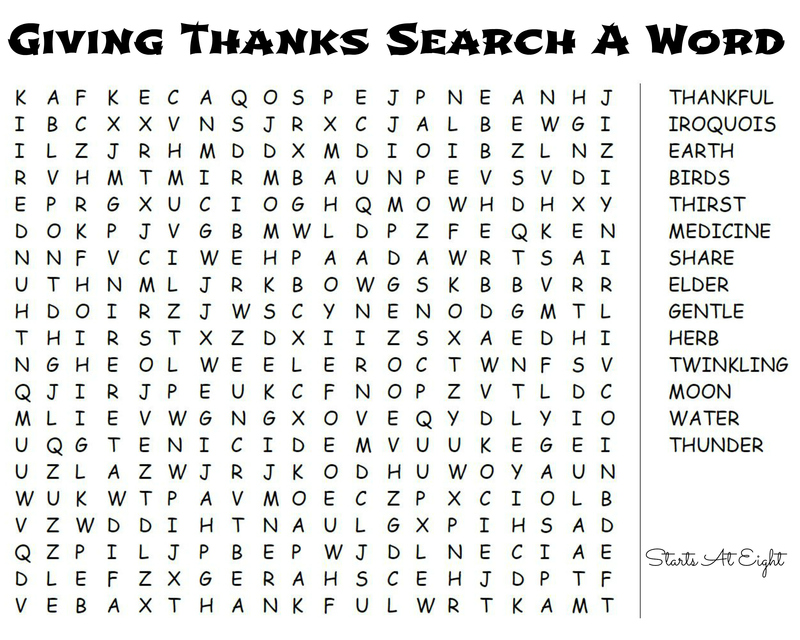 What is the reason Chief Swamp is giving thanks? The Wampanoag had what is called a seasonal diet. What does that mean? What did they eat in the summer? How were they able to have enough food during the winter months? For what do they thank the animals and birds? To the Wampanoag, is Thanksgiving just one day of the year? Why do they thanks the sun, the moon, and the stars? Why do they call the thunder “grandfather,” the sun “brother,” and the moon “grandmother”? 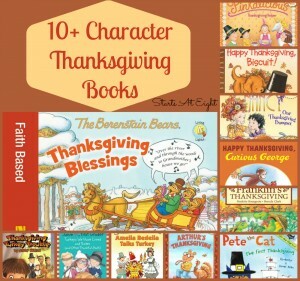 What do you think the Pilgrims were thankful for? What an awesome resource! Thanks for sharing with us!